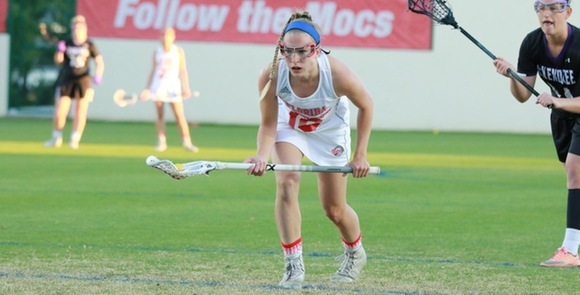 WASHINGTON, D.C. – Florida Southern College women’s lacrosse senior Emily Santoli has been named to the midseason watch list for the prestigious Tewaaraton Award, the Tewaaraton Foundation announced on Thursday. The award is giving annually to the top male and female women’s lacrosse players in the country, regardless of the NCAA Division in which they play. Santoli is only the third non-Division I student-athlete to be named to the watch list this year. Adelphi’s Michele Scannell and Elizabeth Morrison of The College of New Jersey (Division III) were named to the preseason watch list. Santoli is the two-time IWLCA Division II Midfielder of the Year, a two-time IWLCA first-team all-American, three-time all-South Region honoree, and a three-time all-Sunshine State Conference selection. The defending SSC Player of the Year, Santoli leads the Moccasins and ranks among the top 50 nationally in goals (44). She has scored multiple goals in 12 of the 13 games in which she has appeared this year, including 10 games with at least three goals. Her goal total this season ties her single-season career high from a year ago, and Santoli also leads the Mocs in draw controls (64). The Tewaaraton Award women’s watch list will be narrowed to 25 nominees on April 26, with the five finalists announced on May 10 and invited to the 18th annual Tewaaraton Award Ceremony in Washington, D.C. on May 31. For more information on the Tewaaraton Foundation or to attend this exciting event, visit tewaaraton.com. Founded at the University Club of Washington, DC and first presented in 2001, the Tewaaraton Award is recognized as the preeminent lacrosse award, annually honoring the top male and female college lacrosse player in the United States. Endorsed by the Mohawk Nation Council of Elders and U.S. Lacrosse, the Tewaaraton Award symbolizes lacrosse’s centuries-old roots in Native American heritage. The Tewaaraton Foundation ensures the integrity and advances the mission of this award. Each year, the Tewaaraton Award celebrates one of the six tribal nations of the Iroquois Confederacy – the Mohawk, Cayuga, Oneida, Onondaga, Seneca, and Tuscarora – and presents two scholarships to students of Native American descent. 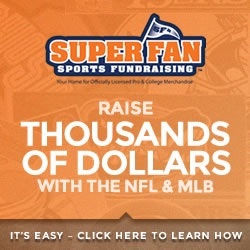 To learn more about The Tewaaraton Foundation, please visit www.tewaaraton.com. PrevSomerset Academy 2018 Morgan Coppini Commits to Huntingdon College!